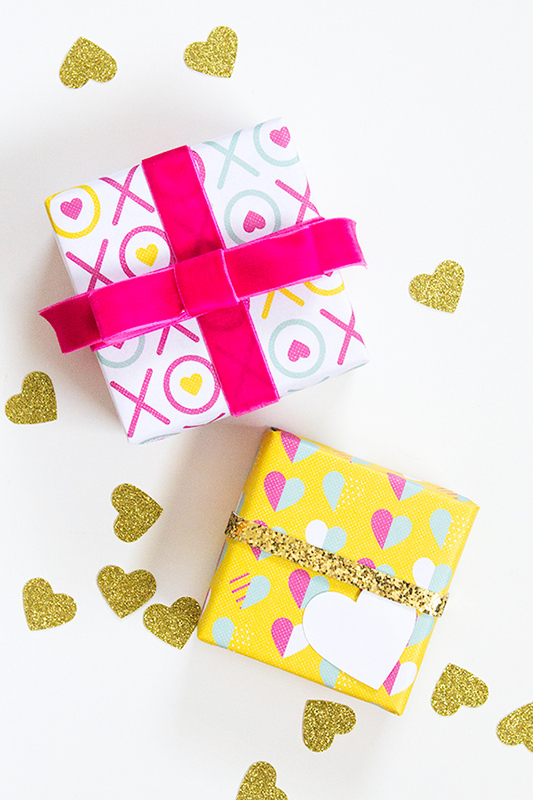 This bright and fun gift wrap designed by Sarah Hearts is gorgeous. You can easily download and print this free printable paper and use it to wrap up little gifts in style. Add some coordinating ribbons and bows as well. Although this Valentines gift wrap would be a great way to wrap a present for that special someone in your life, I think it would be especially cute for a friend. You can find and download the free printable paper at Lovely Indeed.